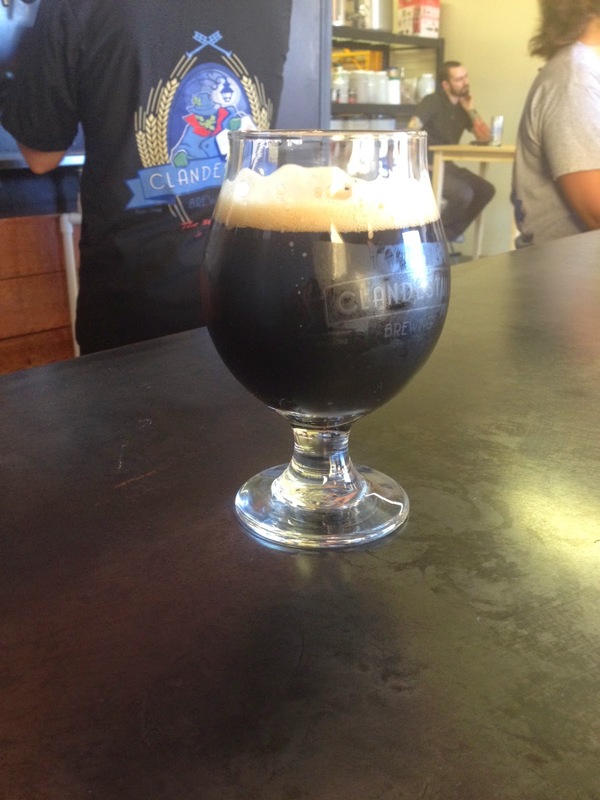 Our Beer of the Month comes from a relative newcomer to the Bay Area craft brewing scene, San Jose’s Clandestine Brewing. Clandestine is really more of a home brewing collective with a tap room that a commercial brewery, part of the larger trend of nanobrewing within the craft beer revolution. Perhaps my favorite thing about Clandestine Brewing is that unlike other nanobreweries, their tap list isn’t dominated with a bunch of wild and crazy thermo-nuclear IPA’s. Instead it contains a lot of traditional styles although they Clandestine does make their fair share of interesting experiments. Sure it’s great tasting something made with lots of hops, but thankfully, Clandestine hasn’t forgotten you can be just as innovative with yeast and malt as you can with hops. The result is that going to Clandestine is always fun, because you’ll find both the familiar and the novel, and there’s a lot more to their idea of innovation than just hitting you over the head with a bunch of hops. A good example of this is their Dead Drop Munich Dunkel, a traditional German style. A Dunkel is best described as a dark lager, and Dead Drop has a nice drinkable depth to it. It’s got a little caramel, a little bitter chocolate and a nice crispness. It’s one of those beers like Anchor Steam, where you can either simply drink it to quench a thirst on a hot day, or contemplate all its subtle complexities. Next Next post: Is Craft Beer Coming to a Farmer’s Market near you?